House VS Home singles club number five comes from The Contortionist. 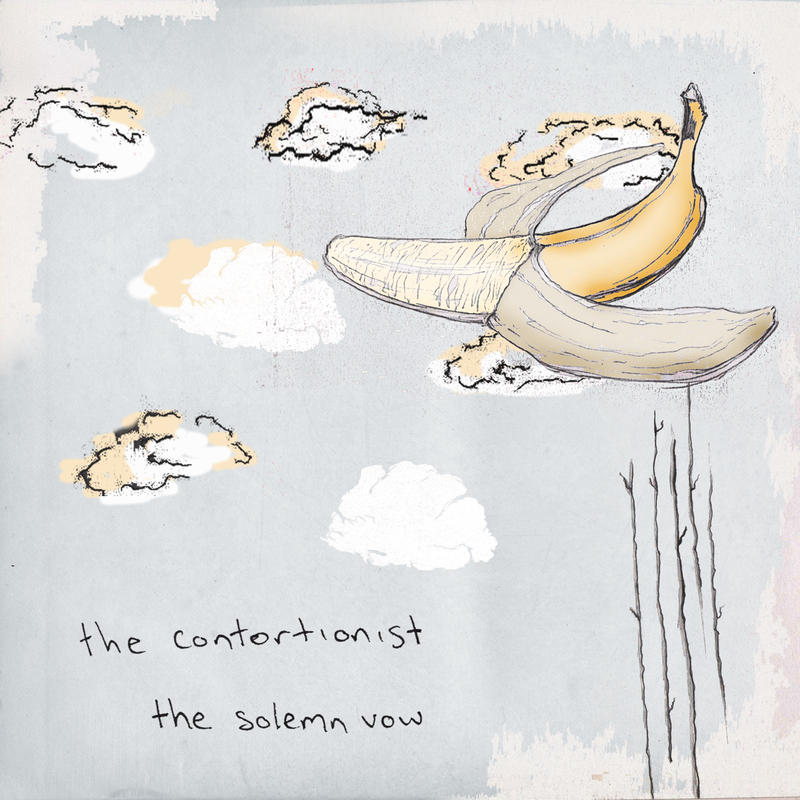 The Contortionist weaves many and varying influences to cumulate into his self-styled ‘twee-step’. This is apparent in the genre mash that is The Solemn Vow, which masterfully combines beats, harmonies and catchy choruses. B-side Fertile Ground is driven by the vocals and pushed along by beautiful guitar lines. The Contortionist is the solo project of Andrew Hirst, currently in London’s Fall Forwards, and formerly of Sheffield’s Japanese Sleepers. Andrew’s wide-ranging influences cover everything from Guided by Voices and Neutral Milk Hotel to the Knife and Burial. 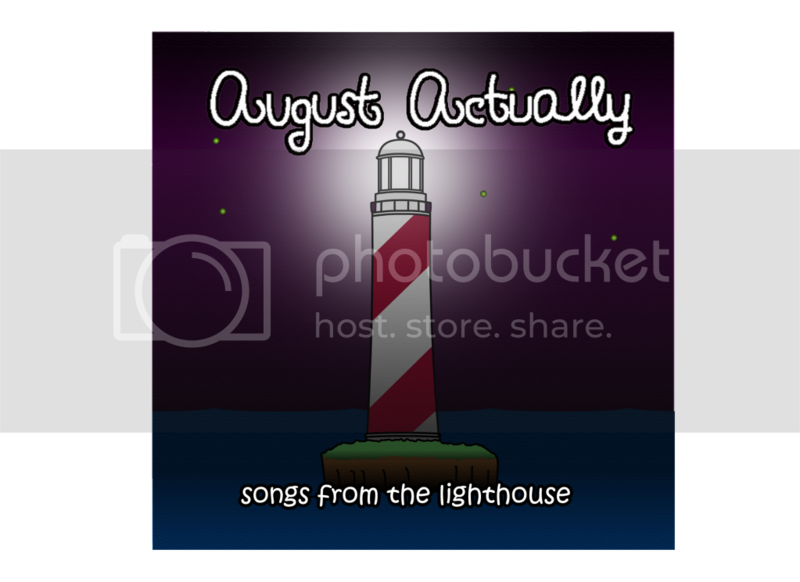 The artwork for this month’s single comes courtesy of Aferdita Pacrami. The tracks are available as a ‘name your price’ download from the ‘Shop & Audio’ page on here, or from http://housevshomerecords.bandcamp.com. You can listen to and download for free tracks by Andrew’s other band Fall Forwards on their bandcamp page. House VS Home Records are extremely pleased to announce the fourth instalment in our monthly singles club, from indie pop stalwart MJ Hibbett! Hibbett’s Billy Bragg-esque brand of politically charged pop has been charming audiences for years. He has gained success with hits such as Hey Hey 16K!, The Gay Train and Do the Indie Kid; appearances on the Steve Lamacq show; and recent forays into musical theatre with 2 man stage shows Dinosaur Planet and Moon Horse. Suffice to say, Hibbett is a busy man. Though currently in the midst of promoting the full-cast album recording of Dinosaur Planet (featuring his long-term backing band, The Validators), he has kindly taken the time out to offer the House VS Home singles club two exclusive solo pieces. 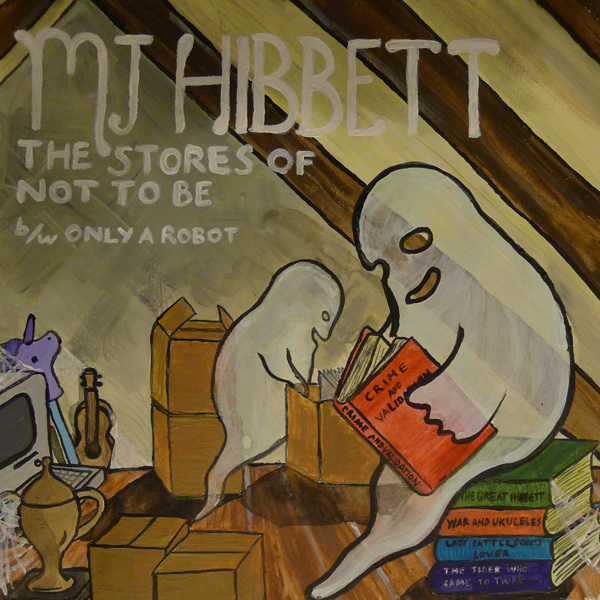 Stores of Not to Be is rather reminiscent of Hibbett’s earlier work. While it is nostalgic and thoughtful, it is carried throughout by an irresistibly catchy guitar riff. The B-side, Only a Robot, is a studio recording of a Moon Horse favourite – the resigned tale of an android dealing with his own inadequacy. Despite its origins, it still works perfectly out of context and, along with Stores, comprises yet another gem in an already impressive back catalogue. 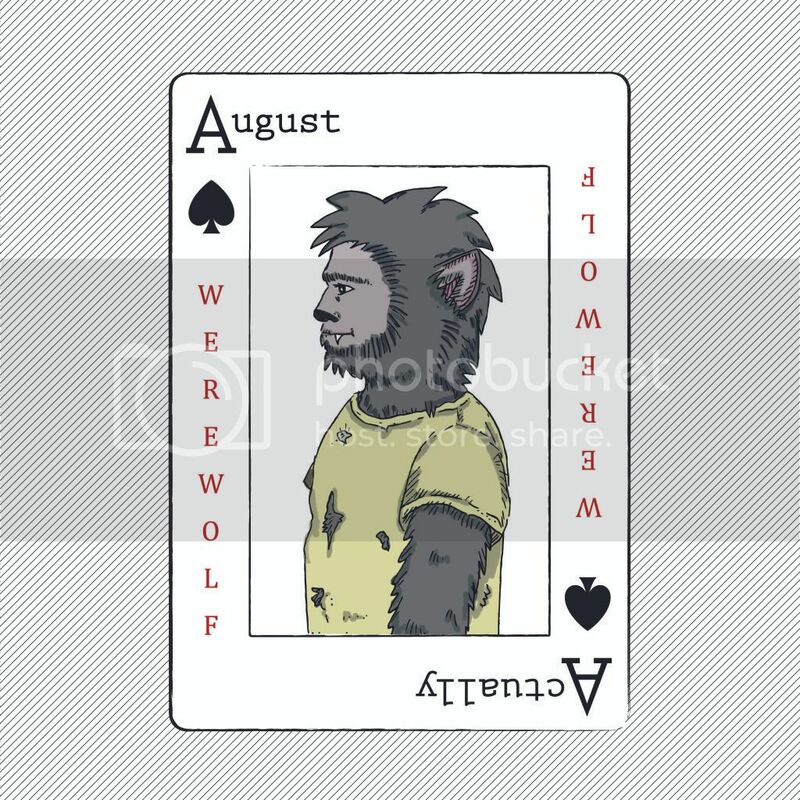 The artwork this month comes from James “Indiehorse” Birtwhistle. Like Hibbett, Indiehorse is a master in his field and this piece is amongst his best. More of Indiehorse’s artwork can be found at indiehorse.com. The tracks are available as a ‘name your price’ download from the ‘Shop & Audio’ page on here, or from housevshomerecords.bandcamp.com. House VS Home singles club number three is the debut single from Nottingham’s Nordenfelt. 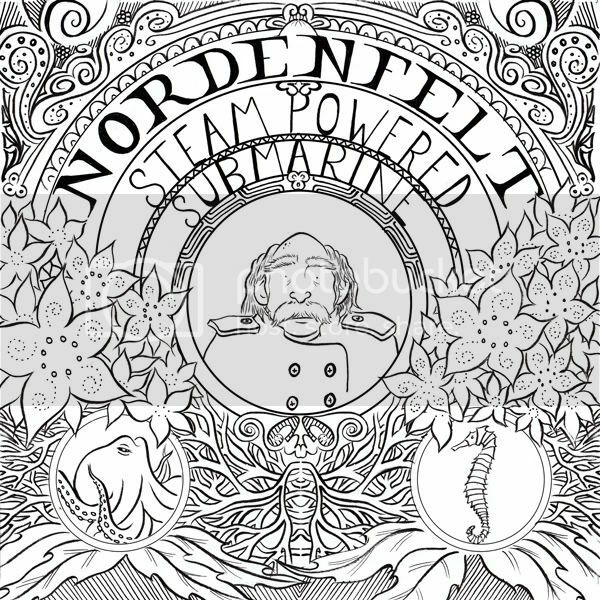 Having wowed everyone with their impressive David Bowie renditions at their first ever gig last year, followed by further packed gigs across Nottingham with their new expanded line up, Nordenfelt are clearly destined for great things! The lead track on the April edition of the House VS Home Singles Club, Steam Powered Submarine is a marvellously catchy guitar-led pop hit. This is backed up with the much more introspective and intricately beautiful Mothers are Maternal (Fathers are Paternal). Nordenfelt are Tom (vocals, guitar), Ali (guitar), Ed (bass) and Owen (drums, producer). 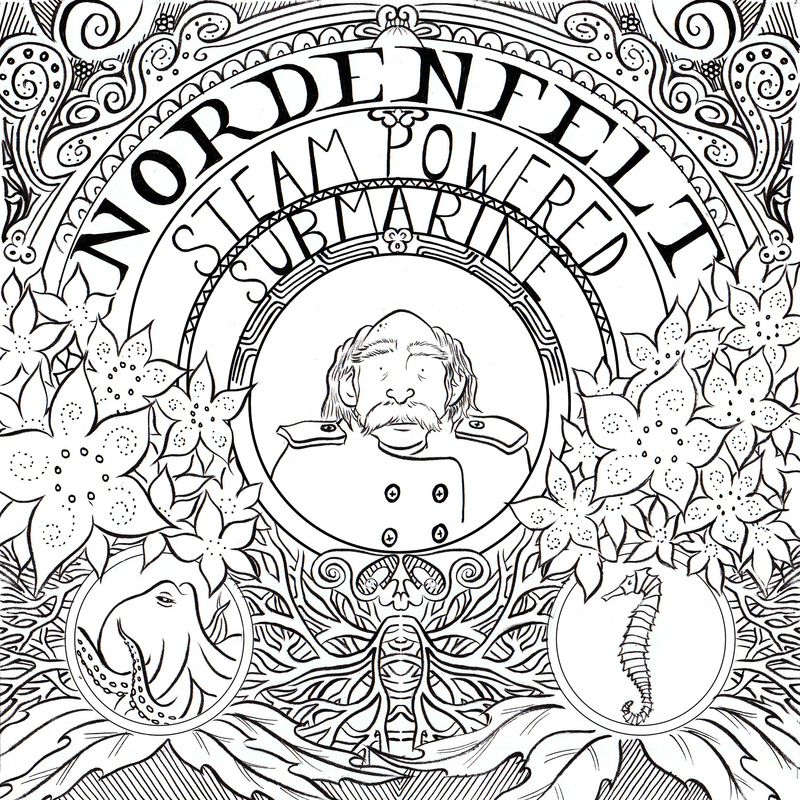 Nordenfelt are influenced by Sunn 0))), NWA, and Squarepusher, yet they still end up sounding like Elliott Smith. House VS Home singles club number two is brought to us by Thelonious Rex, the alter ego of North Carolina’s equally mystically-named folk-pop troubadour Django Haskins. 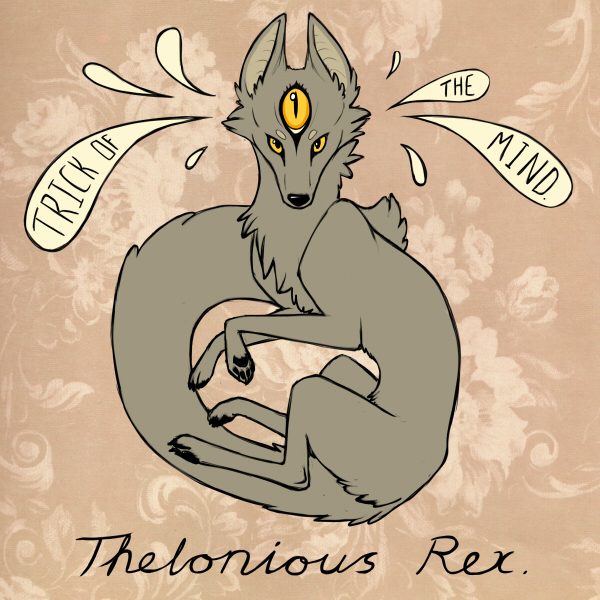 Thelonious Rex combines capably crafted melodies with idiosyncratic lyrics to create pop music with distinctly American flavours. Trick of the Mind, the lead track on the March offering from the House VS Home singles club, is an accomplished number, sparse in instrumentation but rich in lyricism, evoking images of false Romeos and Ice Cream hearses. The carefully considered wordplay paints a world where nothing is what it seems; it is clever, catchy and typical of Django’s song writing style. Rounding off the release is an inquisitive love letter – B-side First Name, Last Name – a cute and infectious pop song which is bound to strike a chord with lovelorn obsessive compulsives. Both tracks are previously unreleased treasures from Django’s long-lost 4th solo album, Ballads and Breakdowns, recorded roughly a decade ago and apparently lost to the ages. Since recording these songs Django has enjoyed considerable success with his pop-noir/rock band, The Old Ceremony (currently hard at work on their fifth studio album), as well as International Orange – his short-lived collaboration with Ben Folds Five bassist, Robert Sledge, and North Carolina music scene staple, Britt ‘Snüzz’ Uzzell. With The Old Ceremony he has toured extensively, across both the United States and Europe, supporting such notable acts as CAKE, The Mountain Goats and Squirrel Nut Zippers. His music has matured over the years, growing denser and moving away from merely mirroring his own heroes (who include the likes of Leonard Cohen, Tom Waits and Bob Dylan) to providing a source of influence for others. Trick of the Mind is a worthy addition to his catalogue; harkening back to his earlier work, it serves as an ample bridge between his solo career and his more erudite offerings of recent years. This month’s artwork comes courtesy of our friend Lucy Kucharik, an aspiring young illustrator with a penchant for drawing anthropomorphic Pokémon. More of her work can be viewed here. The tracks are available as a ‘name your price’ download from the Shop & Audio page on here, or from http://housevshomerecords.bandcamp.com. 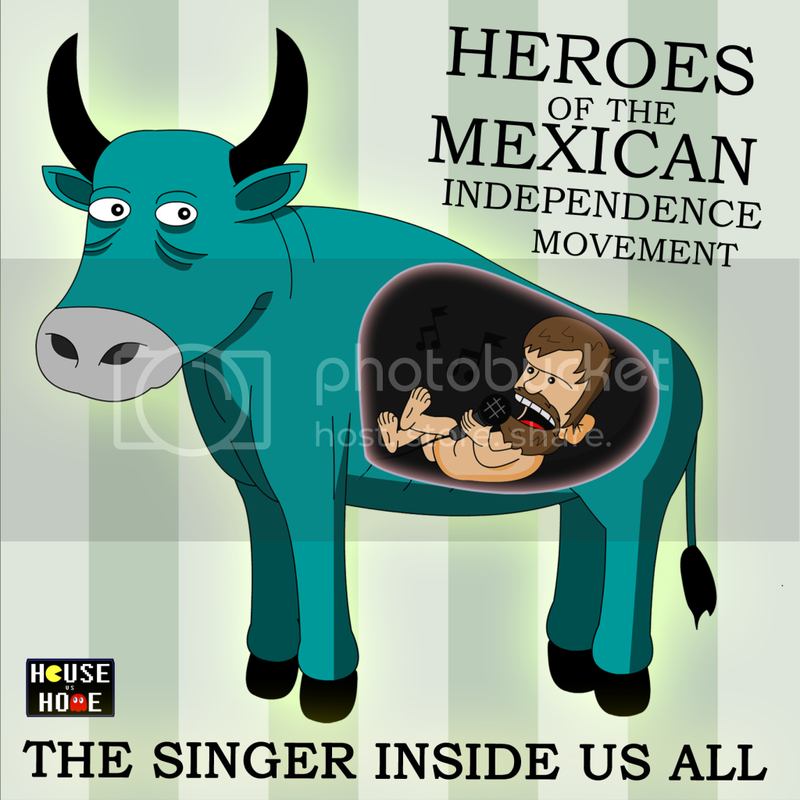 So, the launch of the Singles Club is upon us and we shall be beginning with Heroes of the Mexican Independence Movement’s The Singer Inside us All/The Gift. The Singer Inside us All is a nod to the indie pop roots of their former incarnation The Rocky Nest, while The Gift is a total reworking of the song of the same name by their greatest influence The Velvet Underground. The accompanying artwork is by our very own Alexander Christopher Hale. Heroes of the Mexican Independence Movement, or HotMIM as they are more frequently referred to, have been peddling their unique brand of spaghetti western lo-fi pop since early 2011. Hailing from Hull, HotMIM feature former members of Fonda 500, The Rocky Nest and Dead Sea Diver. They went down a storm playing the church stage at 2011’s Indietracks Festival: “Ennio Morricone fed on a diet of early Belle & Sebastian EPs” (contactmusic.com); they “endlessly flirt with comedy and chaos to produce a memorable afternoon of musical merriment” (SoundsXP). 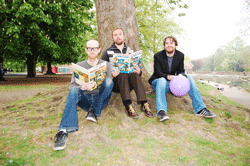 Since then, they have achieved acclaim with their Signal Box EP getting into the Pop-O-Matic Albums of the year. The first release by HotMIM on House VS Home Records will be their contribution to the Singles Club when it is launched on 1st February 2012. Stay tuned for more information about this. In the meantime, you can like them on facebook for updates. From 1st February 2012, House VS Home will be launching a monthly singles club. The idea behind this is to put out some tracks by bands that we love and hopefully open them up to different audiences. Each month there will be two tracks from that month’s chosen band to download, along with artwork by specially chosen illustrators and designers. The House vs Home singles club will be launched with the release of label signings Heroes of the Mexican Independence Movement‘s The Singer Inside Us All/The Gift. We have plenty of exciting artists lined up for the singles club so stay tuned!